My husband recently started exercising again after work because they have an employee gym next door. Sometimes I'm not able to meet him so he goes by himself. Like many he enjoys listening to music when he is working out to help pass the time. Since he's just getting started any extra motivation he can get I figure is helpful. So having a pair of earbuds that not only play his favorite workout music, but also give him in-ear coaching is a bonus in my book. Plus it's not me so it doesn't come across as nagging instead of encouragement. 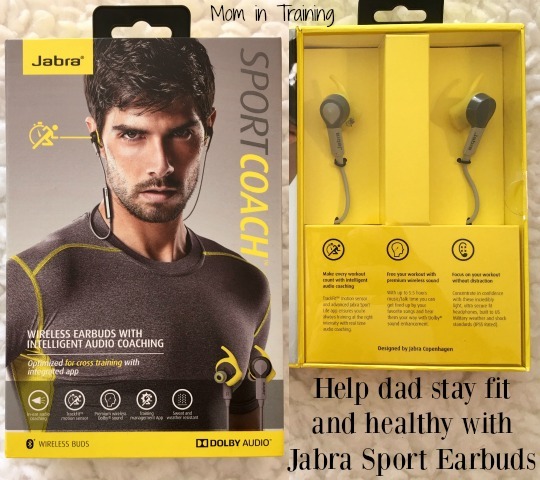 Paired up with the Jabra Sport Life app he can track his exercising and get some additional help to make sure he's doing what's best for him during his workout. Jabra’s industry-first range of wireless earbuds for the fitness-conscious consumer do more than just play music. The three models (Coach, Pulse and Pace) are optimized for fitness at all skill levels and work with Jabra’s Sport Life app, which provides users with in-ear coaching; ensures they are training in the right heart rate zone; and helps them better plan, monitor and evaluate their personal workouts. Jabra Sport Coach: Optimized for cross training, the Sport Coach features in-ear intelligent voice coaching for personal training sessions. Jabra Sport Pace: With premium sound and a secure fit, the Sport Pace is optimized for all types of fitness training. I don't know about my husband, but I'd love a pair of these wireless earbuds!